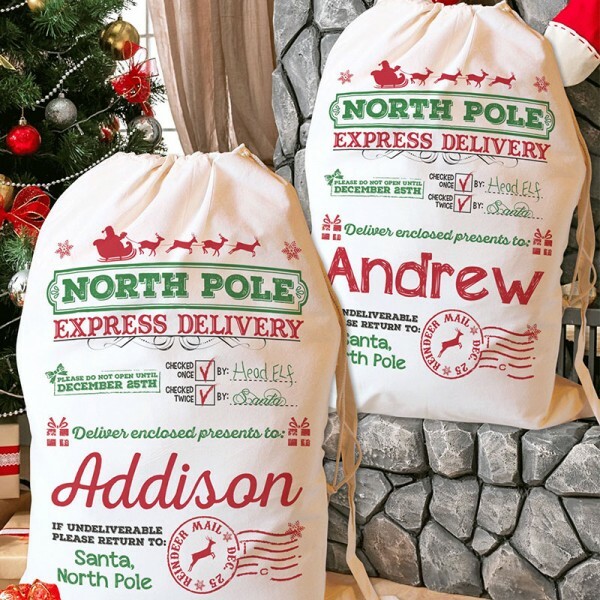 Santa Sacks as unique as your little ones! 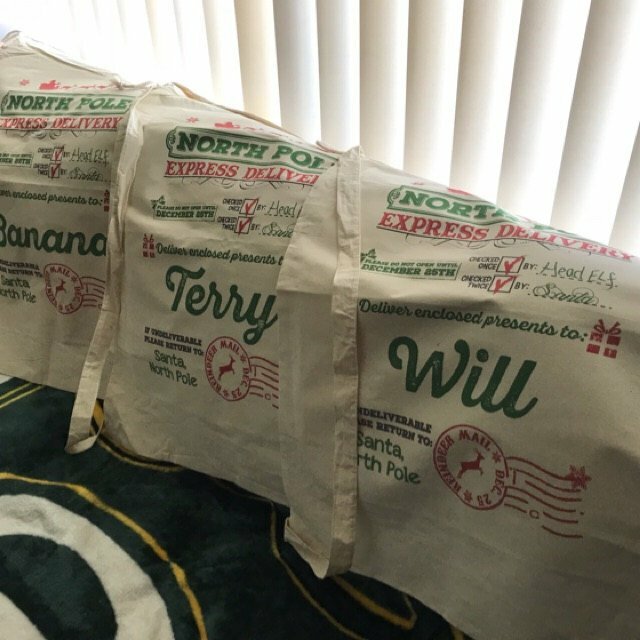 Start a new family tradition and "deliver" toys from the North Pole with these custom Santa Sacks! List the names you want to post on your package in the "Personalization" box. The names will be used sticker posted on the sack. 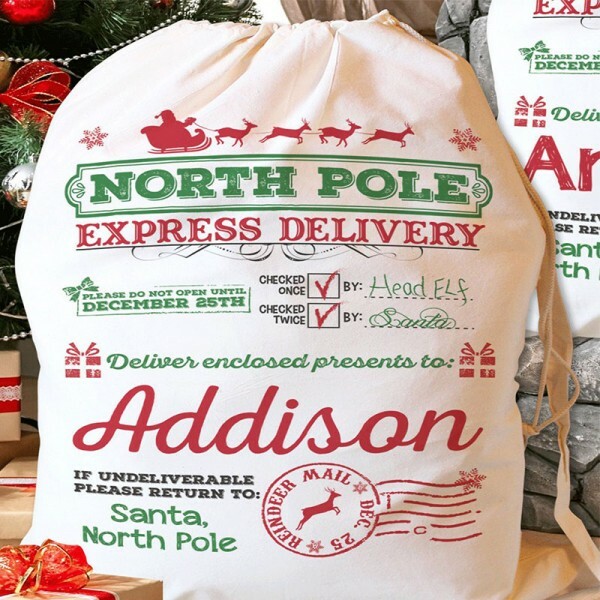 I am in love with this Santa sack!!! 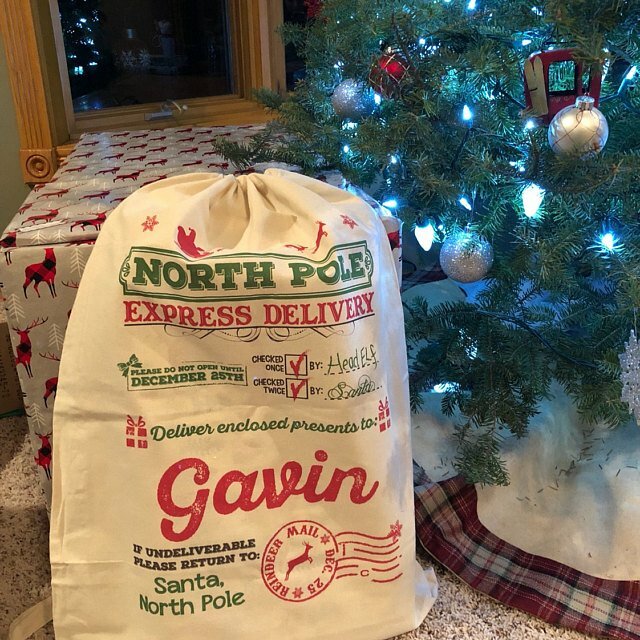 I am in love with this Santa sack!!! 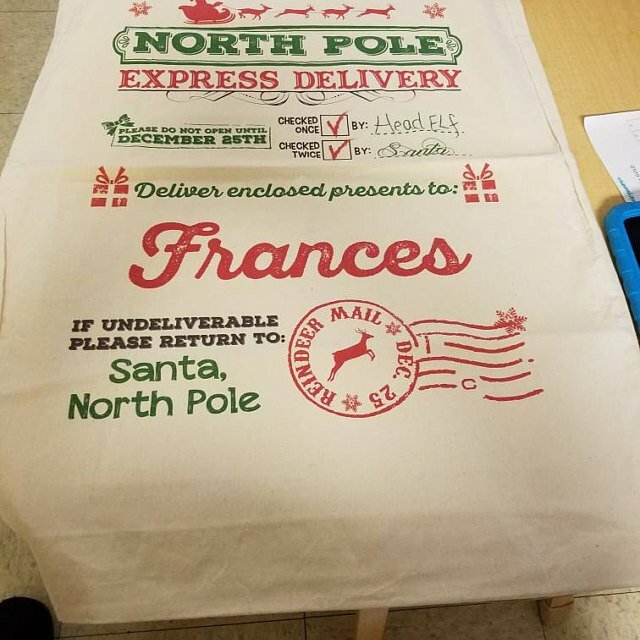 I ordered it for my Goddaughter Frances to hold her Xmas presents every year! I ordered the larger size for the future of bigger gifts, and it is huge! (That's exactly what I wanted) Some others I've seen some online just seem way too small and this one is perfect. 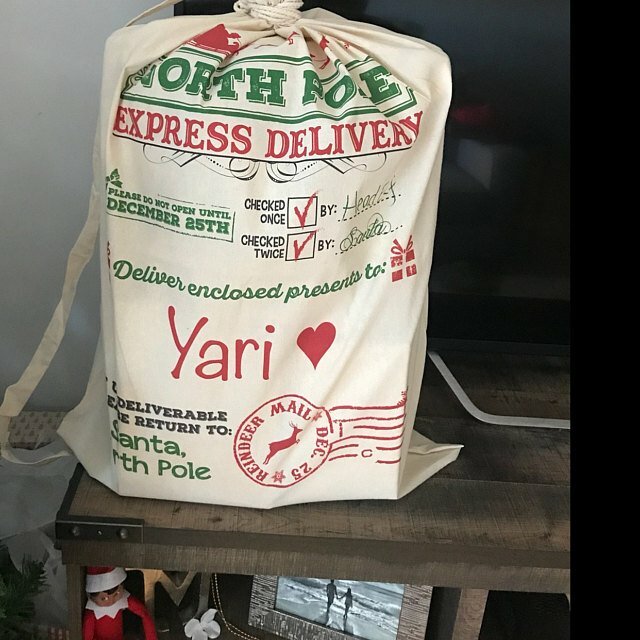 This is how I see a santa sack! Thank you so much! 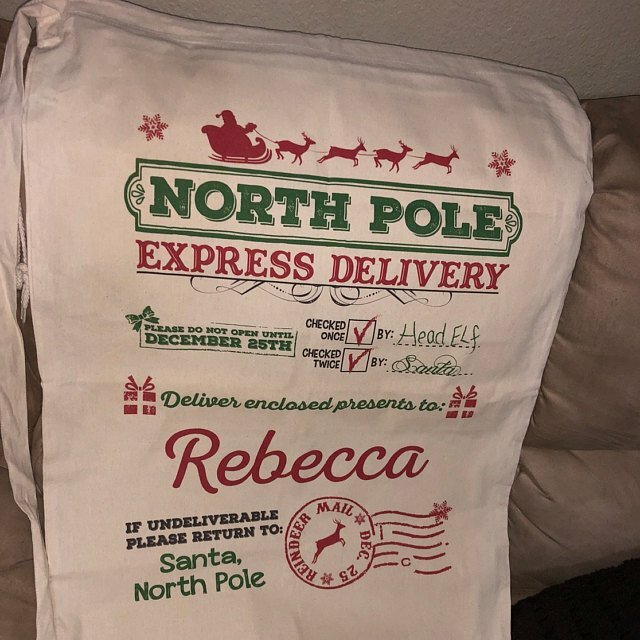 Love the Santa sack. But just giving anyone who purchases one a heads up. Says it ships in 1-2 days. It was over a week until it shipped. Contacted the seller just to make sure everything was ok with my order twice and no response either time. Maybe it was just a crazy week for them I don’t know. Just wanted to let you know with the upcoming holidays around the corner. 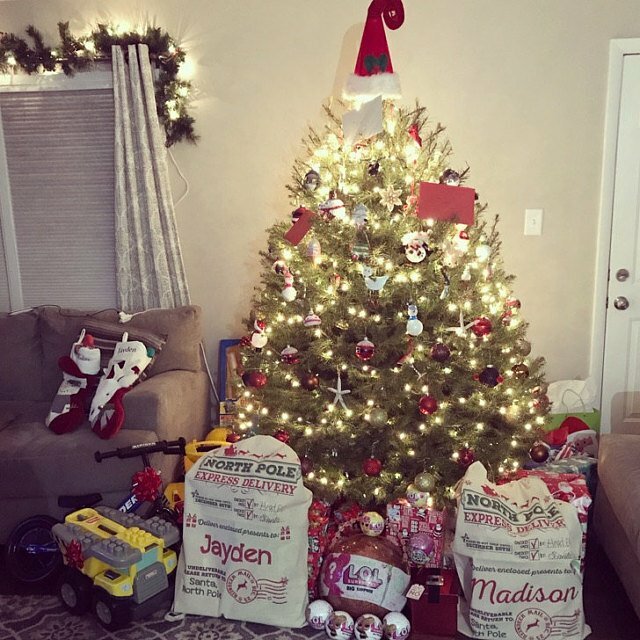 Starting our new family traditions for our one year old and I couldn’t be happier. It says 2-3 day shipping which is true BUT it took a week or two for it to be actually shipped out. Other than that it is excellent and exactly what I expected! 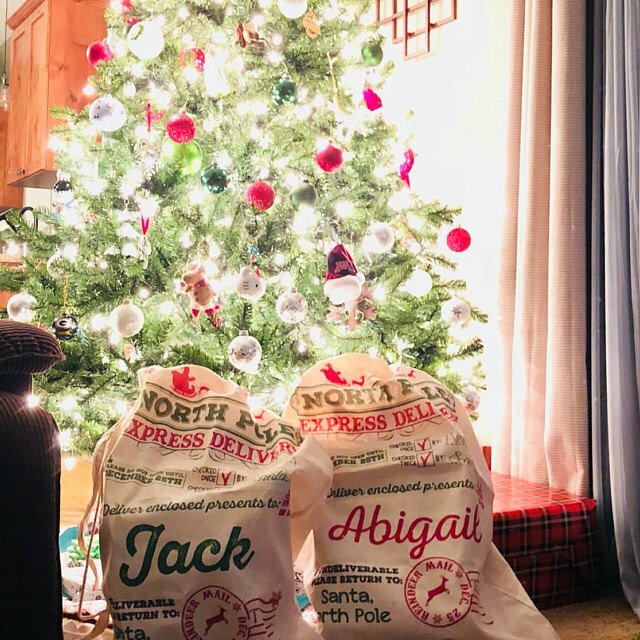 Starting our new family traditions for our one year old and I couldn’t be happier. Love the bag ! Great work !! Adorable! Can't wait to use it this Christmas! This is so cute I absolutely love it! It is exactly as pictured and the bigger option is huge (which I love). My son can keep it forever! 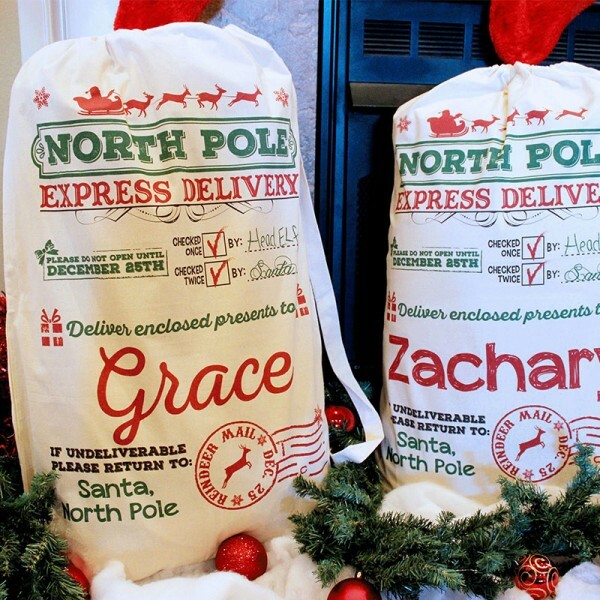 Question about Personalized Santa Sack is Successfully Submitted.